*Try the Foolproof Piecrust recipe in the dessert chapter. Preheat oven to 350°F. In a saucepan, combine chicken, carrots, peas, and celery. Cover with water and boil for 15 minutes. Remove from heat; drain, remove to a bowl, and set aside. In the same saucepan, melt butter and cook onions over medium heat until soft and translu-cent. Stir in flour, salt, pepper, celery seed, and garlic. Slowly stir in chicken broth and milk. Simmer over medium-low heat until thick. Add chicken and vegetables to sauce. Remove from heat and set aside. Line the pie pan with a crust. Pour hot chicken mixture into crust and top with second crust. Cut away excess dough and seal edges. Make several small slits in the top to allow steam to escape. Bake for 50 minutes, or until pastry is golden brown and filling is bubbly. Cool for 10 minutes before serving. 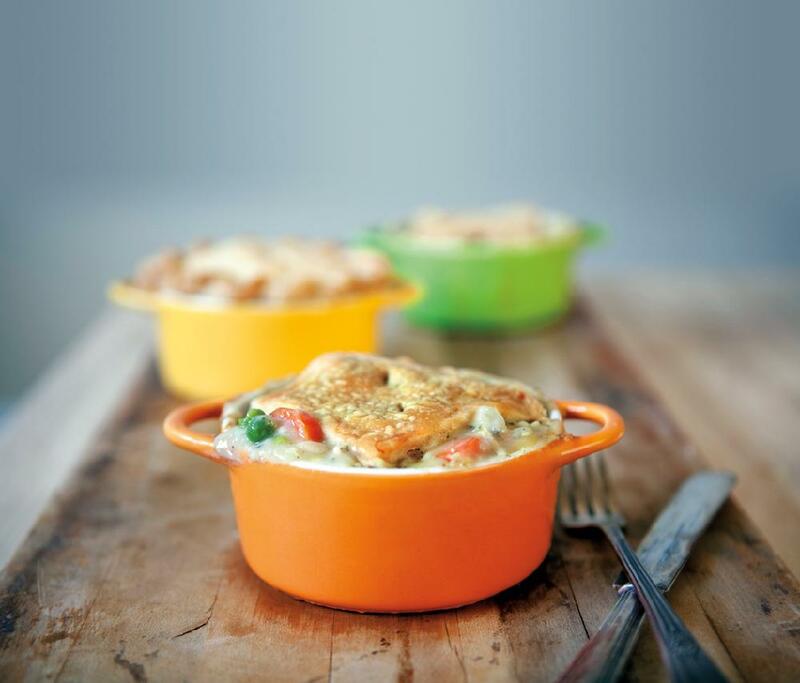 This Chicken Pot Pie recipe is from the The Ultimate Cook'n Cookbook Cookbook. Download this Cookbook today.